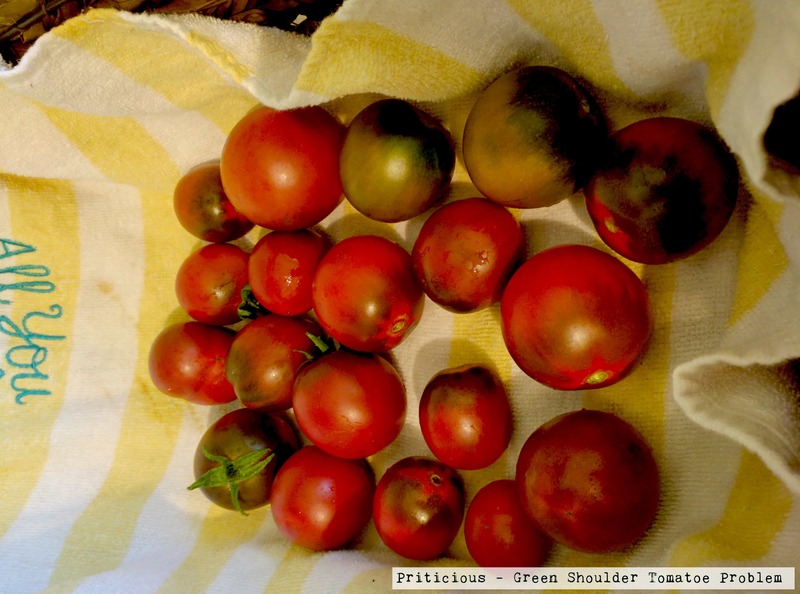 This year when I harvested tomatoes, I noticed some greenness over the top of all tomatoes. I swear I waited long for them to get red ! Please note, I have picked some green ones for some cooking experiment. This problem was new to me. I started talking to my fellow gardeners around and found that it is called “Green Shoulders” or “Green Back” problem. This problem occurs due to constant high temperature which inhibits production of lycopene. Lycopene is a plant pigment which give them red color. All tomatoes have greenness over the top, which is always exposed to direct sunlight. This explains me the problem of my tomatoes in this hot summer. What a home gardener can do? mmm..easy, provide shade to the plant . The interesting part is they are still edible. Woo hoo!! I have covered my tomato plant and waiting for next harvest. Just don’t freak out seeing these green shoulders or back on your tomatoes. Share how you give shade to the plants in direct sunlight.\ with us.